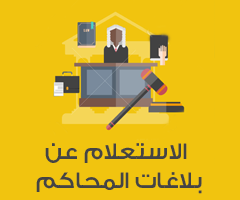 Jordan Post has presented new issues of commemorative stampsfor the year 2019for sale to the public on Sundaymorning, 31/3/2019. 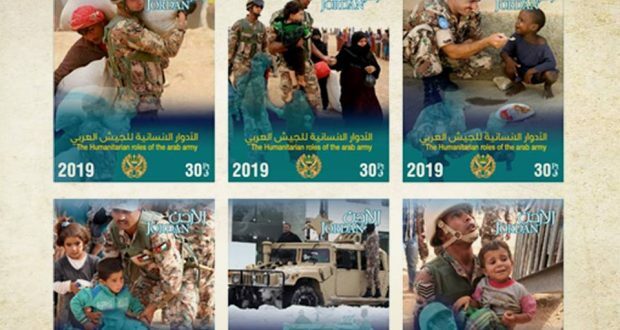 The media spokesperson for Jordan Post, Mr. ZuhairAl-Azza, said that the issued new stamps include the “The Humanitarian Roles of the Arab Army” stamp. The stamp has six categories of 30 piasters per category with a total value of JOD1.80 (one Jordanian dinar and 80 piasters)in addition to the first day issuance envelope at JOD2.30 (two Jordanian dinars and thirty piasters) including the stamp collection. The new stamps also include the release of the “25 years old Dead Sea Ultramarathon”which consists of four categories: 30, 60, 50, and 40 piasters with a the total value of JOD1.80 (one Jordanian dinar and eighty piasters)in addition to the first day issuance envelope at JOD2.30 (two Jordanian dinars and thirty piasters) including the stamp collection. 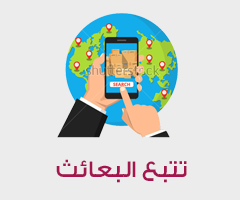 Mr. Zuhairadded that all these issuances are available in the Philatelic Bureau of the post office building in Al-Moqableen next to the radio and television building.